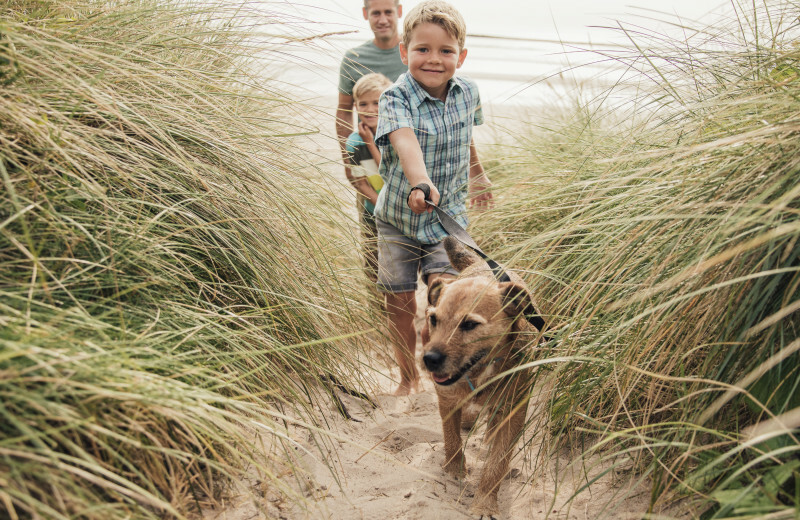 Ryson Vacation Rentals has over 200 homes to choose from, from studios and penthouses on Seawall to large homes that can accommodate large extended families of up to 22 people, and over 50 homes that welcome the family dog. Their accommodations are equipped with all the comforts of home, including full kitchens, cozy living rooms with television and DVD player, balconies, grills, and much more. Some accommodations even offer access to private pools, community pools and tennis courts! 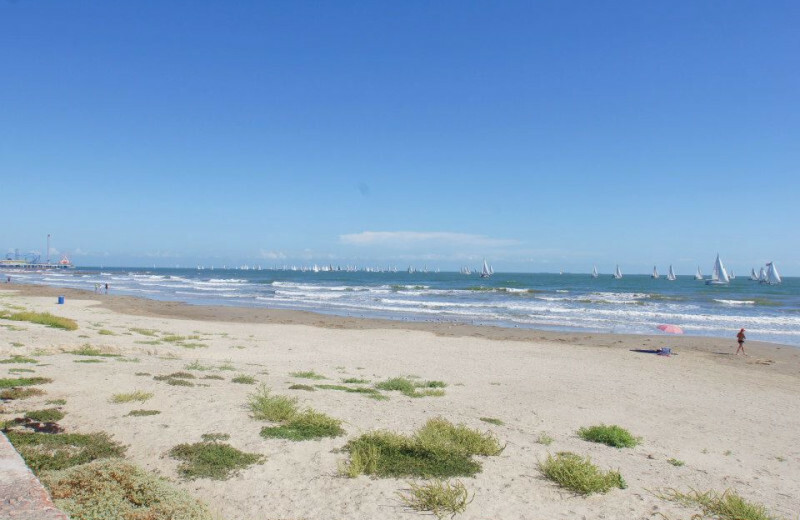 Galveston offers 32 miles of beaches, whether you’re looking for a relaxing afternoon soaking up the sun or an adventure through the waters as you swim, fish or sail. 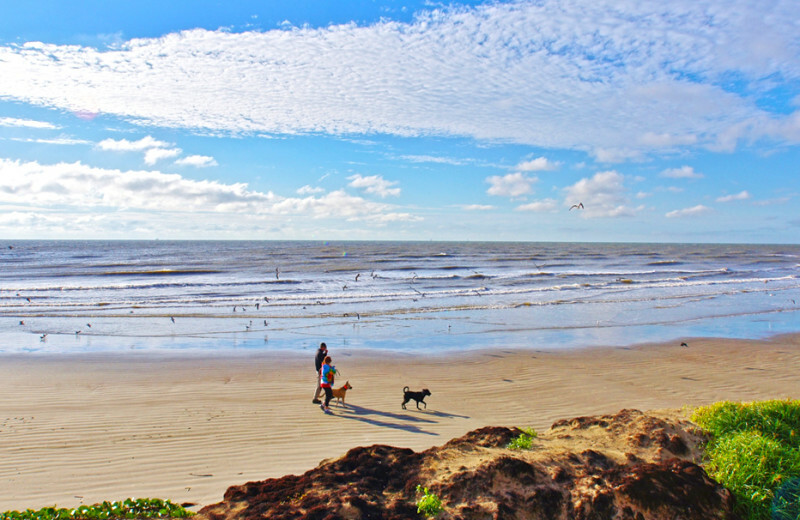 Galveston Island may be small, but offers a wide variety of things to do, no matter the season or interests; adventure, amusement parks, water parks and other water activities, sports, thrift and boutique shopping, a vast array of restaurants, biking, sports, history, and more tours than most can imagine. 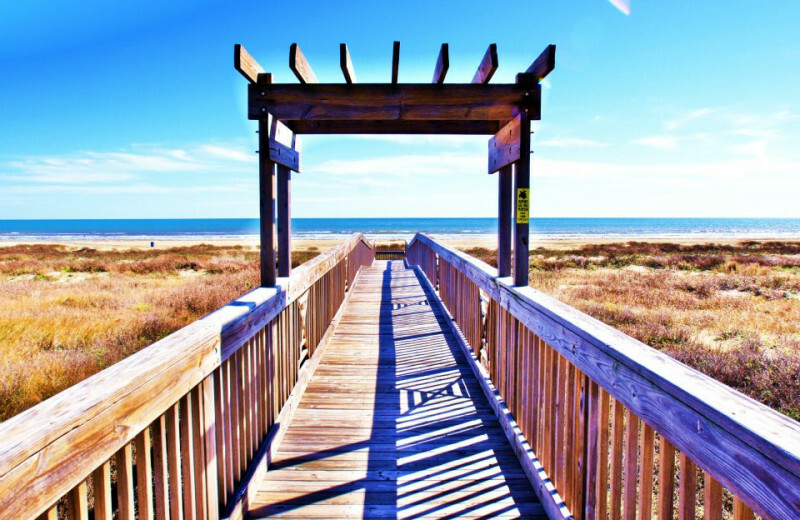 The possibilities are truly endless on your Texas coastal vacation! As a gift for staying with Ryson Vacation Rentals, all reservations receive FREE activities every day to some of the island's most popular attractions. 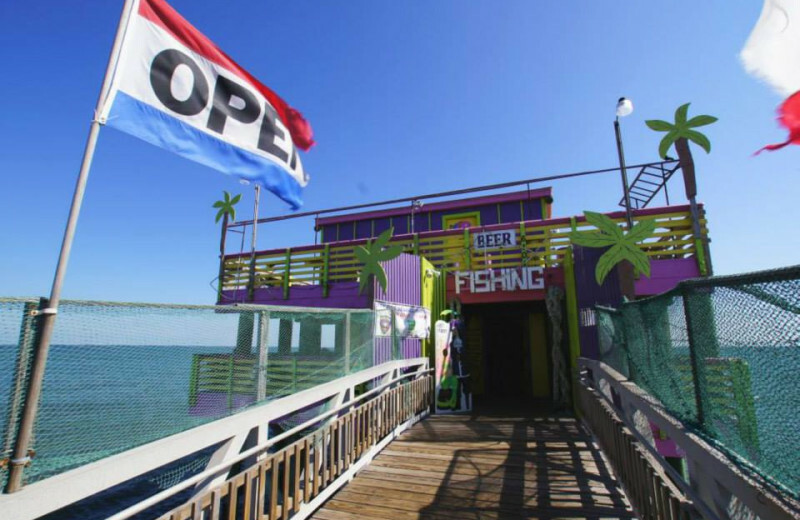 Activities include a Schlitterbahn Water park ticket, an Ocean Star Oil Rig Museum ticket, a tour by Segway of the historical district, and a fishing pier pass to Galveston Fishing Pier. This is a $115/night give away! Ryson Vacation Rentals is located on Galveston Island, which is a barrier island off the shore of Texas and offers over 32 miles of beaches. Spend your time building sandcastles with the kids or enjoy swimming, fishing and sailing. Whether you prefer quieter beaches or more popular beaches, the island has something for everyone to make your beach vacation one you’ll never forget! 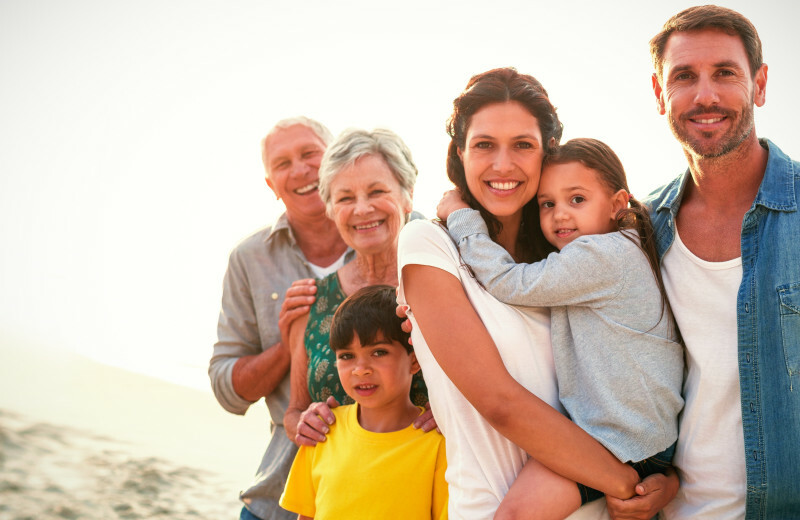 Whether you’re looking for a cozy home to accommodate only your closest family members or a large home to accommodate your extended family, Ryson has it all, and the island has something for everyone in your family. Ask one of their local friendly Vacation Planners if you have any questions or need some suggestions. As a gift for staying with Ryson Vacation Rentals, all reservations receive free activities every day to some of the island's most popular attractions; Schlitterbahn Waterpark, Ocean Star Oil Rig Museum, Segway tour of the historical district, and fishing pier pass to Galveston Fishing Pier. This is a $115/night give away! Also, Ryson partners exclusively with Gulf Coast Concierge to help make your time in Galveston great! It's the little things that count. Make family memories to last a lifetime and create your own adventures with discounted tickets and prices; rent beach gear or golf carts, exotic car rentals, enjoy a sunset cruise, bonfire and s'mores on the beach, watch dolphins in their natural habitat, sailing, fishing charter, photo sessions, floral and balloon packages, decorations, grocery delivery and a variety of in-home services to enhance your stay on Galveston Island. If you're looking for something that's not listed, let them know. If you can dream it, they will do their best to make it happen! 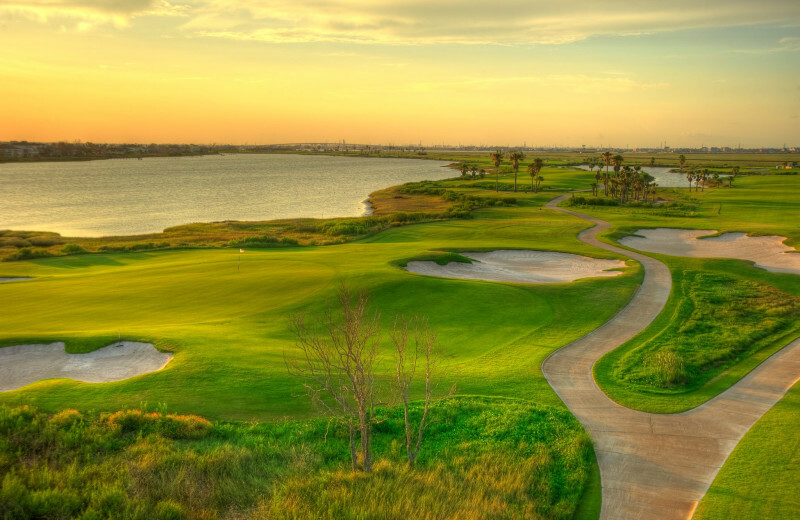 Moody Garden's is Galveston's premier public golf course, and it's open seven days a week. The course features Paspalum turf, designed for seaside golf courses and provides an outstanding playing surface. The course highlights its unique seaside tropical feel with 18 holes meandering through upland and lowland native areas, natural wetlands habitat of beautiful Sydnor Bayou and over 500 palm trees. The City of Galveston retains ownership of the newly renovated facility, which is managed by Moody Gardens. 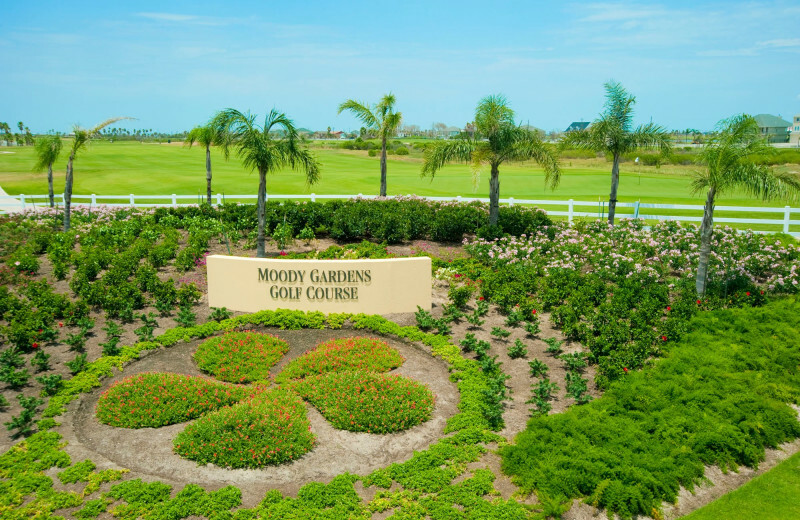 Proper golf attire is required at Moody Gardens Golf Course; collared shirt and no denim on all golfers and preferably riders. 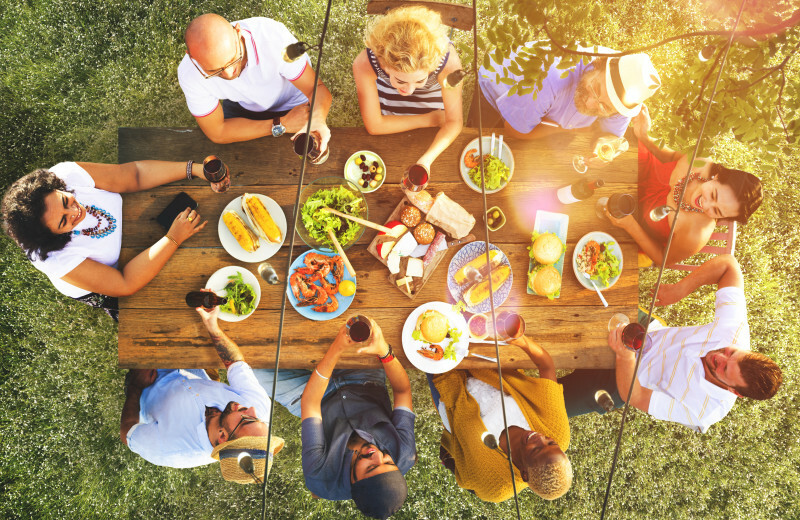 Whether you're planning a family reunion or a class meet-up, Ryson Vacation Rentals takes all the stress away from getting together. 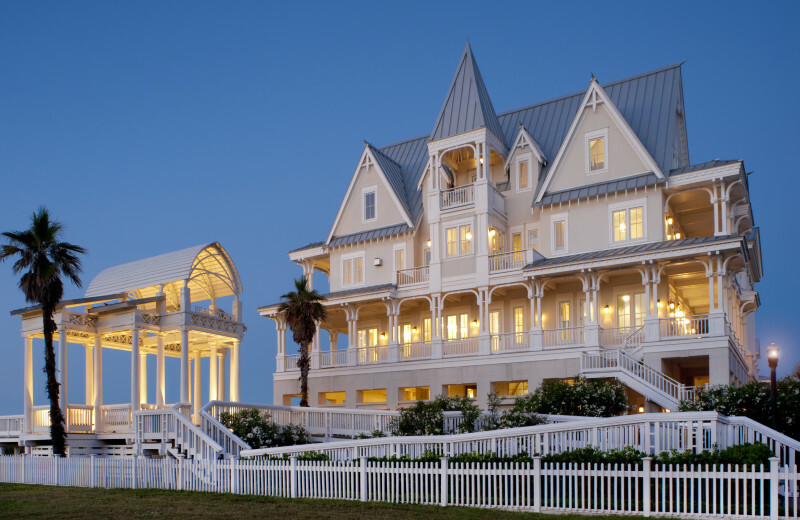 Pick from their wide range of luxury Galveston accommodations and find the ones that can easily host your whole group, or stay side-by-side on the shores of the Gulf of Mexico and enjoy reconnecting over a family meal. Make reunion memories to last a lifetime and create your own adventures with discounted tickets and prices; rent beach gear or golf carts, exotic car rentals, enjoy a sunset cruise, bonfire and smores on the beach, watch dolphins in their natural habitat, sailing, fishing charter, photo sessions, floral and balloon packages, decorations, grocery delivery and a variety of in-home services to enhance your stay on Galveston Island. If you're looking for something that's not listed, please let us know. If you can dream it, we will do our best to make it happen! 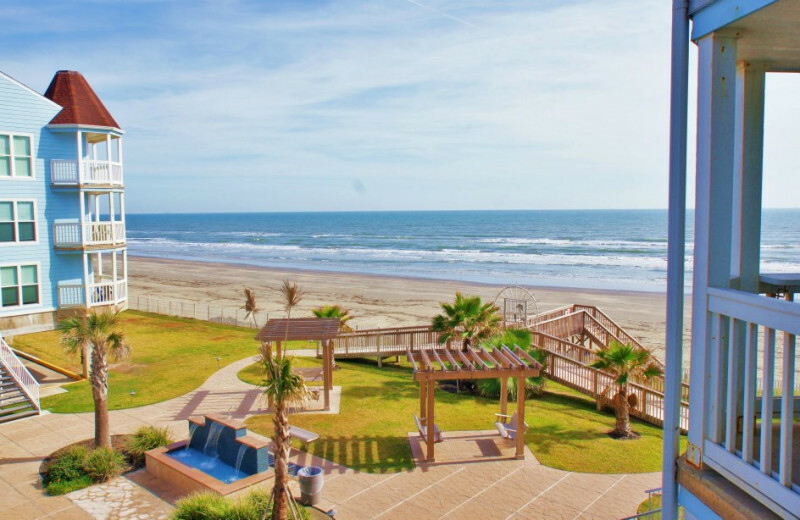 Galveston Island is the perfect place to enjoy a nature getaway in Texas, and Ryson Vacation Rentals gives you a front row seat to outdoor beauty you won't find anywhere else. 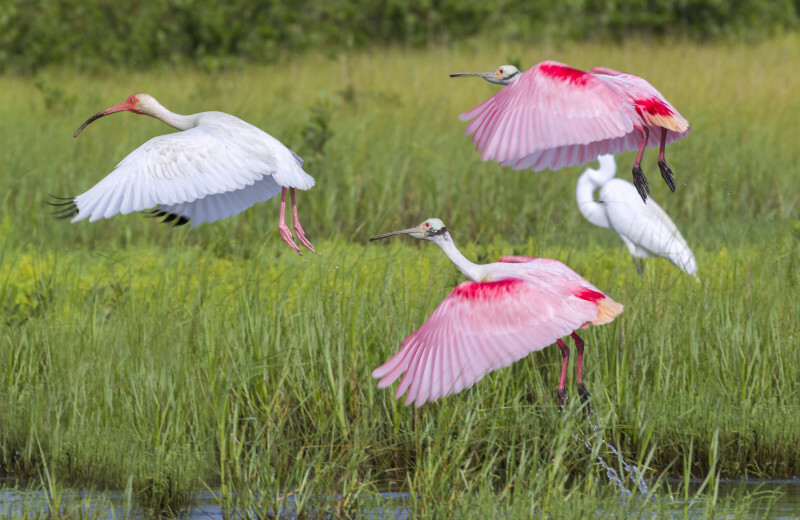 Lovers of birding, fishing, and hiking should make their way to Galveston Island State Park, where they can enjoy the stillness of the marshlands and the calm waters of Galveston Bay. The best part about planning your fishing trip on Galveston Island with the help of Ryson Vacation Rentals is that you have so many options for reeling in your trophy catch. The island features a number of places including the 61st Street Fishing Pier, Jimmy's on the Pier and Seawolf Park on Pelican Island. You can also choose to fish directly from Galveston's 32 miles of coast line. As a gift for staying with Ryson Vacation Rentals, all reservations receive free activities every day to some of the island's most popular attractions ($115/night give away), and the Galveston Fishing Pier is one of those most family fun activities. If you are looking to reel in a marlin, tarpon, barracuda, tuna, or wahoo, you may need to plan a deep-sea fishing excursion with one of the local charter companies. Ryson’s Gulf Coast Concierge would be happy to make this happen for you! 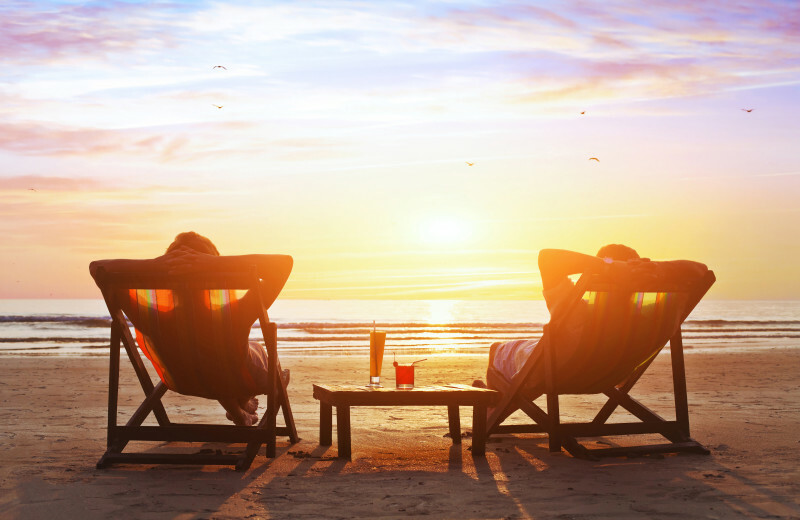 Escape the hustle-bustle of city and everyday life and enjoy a relaxing beachfront vacation with your sweetheart. Ryson Vacation Rentals offers a selection of luxury accommodations on the Gulf of Mexico, so you can easily find the place just right for the two of you. Unwind on your private balcony, spend the day on the beach, or take a guided bike tour of Galveston. A variety of unique boutique shopping and restaurants are only minutes away for a fun night out! 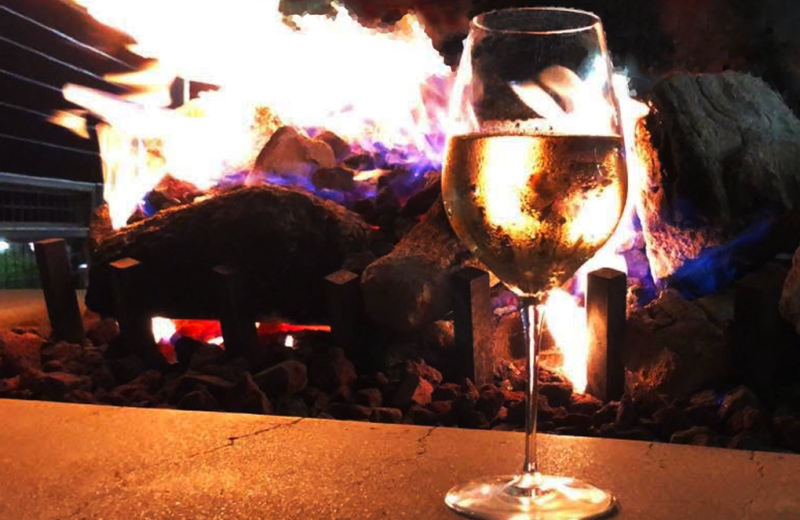 Ryson's partnership with Ryson Vacation Rentals takes all the stress away from planning and will help you plan an unforgettable evening with memories to last a lifetime. Don't worry about leaving your favorite four-legged friend at home. 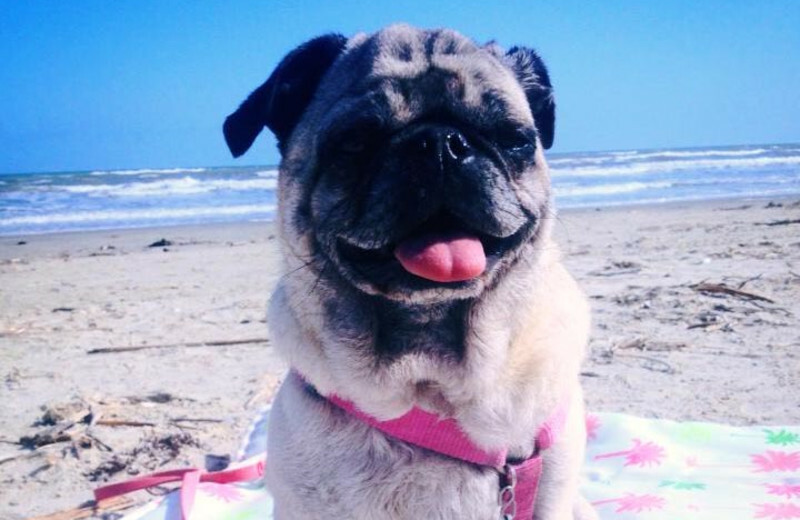 Ryson Vacation Rentals offers over 50 pet-friendly rental homes for your Texas vacation that ensures you can bring every member of the family along for the fun. 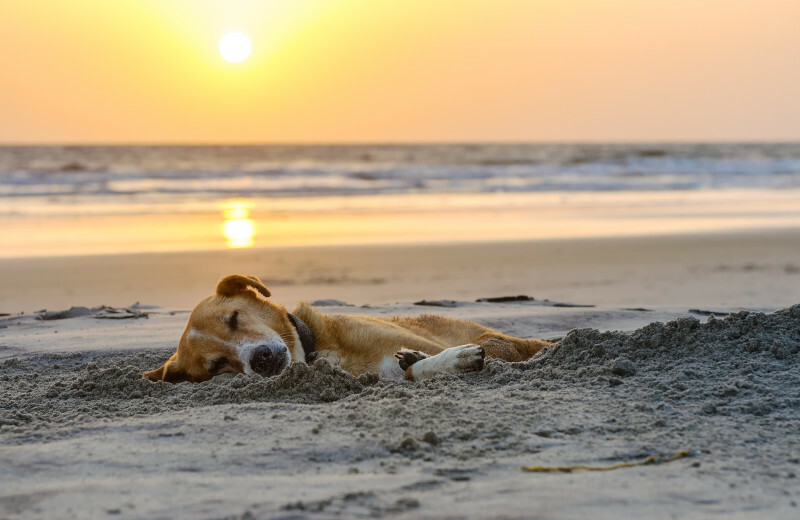 Your pet is sure to love spending quality time together out on the beautiful beaches or just relaxing in your home-away-from-home! Ask a Ryson Vacation Planner about dog friendly dinners. Ryson Vacation Rentals offers a number of luxury homes; from spacious penthouse condominiums with community pools, private balconies overlooking the Gulf of Mexico, to cozy private homes to large beachfront and canal homes with private pools. Ryson really does have it all and is truly a luxurious Galveston vacation experience. All homes offer linens, towels, some toiletries to get you started on your vacation, cable TV and most homes offer a grill and Wi-Fi. 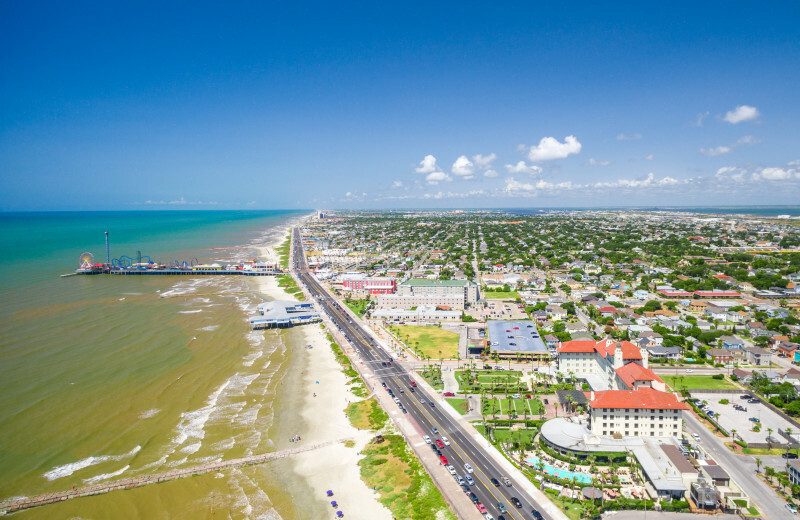 Galveston Island, Texas is more than just beautiful beaches and the calming sound of the waves rolling onto the shore. You may experience a taste of the past, as you explore historical homes that have been around since before the 1900s, or shop at antique stores throughout town. For a little extra thrill, try one of the many ghost tours offered through the Galveston Island's many historic sites, and bring a spooky tale back home to share! 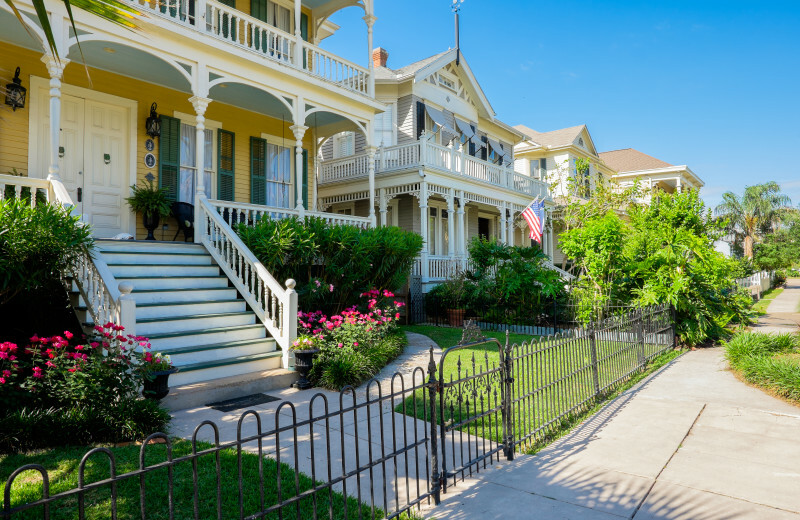 Ryson Vacation Rental guests may purchase a Galveston Historical Foundation all ages tickets that never expire for $25 through our partnership with Gulf Coast Concierge. See some of the historic beauty that Galveston has to offer; ticket includes admission to Bishop's Palace, the Seaport Museum, Tall Ship Elissa, the Pier 21 Theater & a Harbor Tour. Make your honeymoon one to remember with a luxury getaway with Ryson Vacation Rentals. Their wide selection of accommodations, lets you and your new spouse choose the place that's just right for you. Bask in the beautiful views of the beaches and enjoy modern amenities such as full kitchens and private balconies. Together, you can start the new chapter of your life with a quiet walk on the shore, watch the sunrise and set, or explore the local shops and restaurants! Ryson's partnership with Gulf Coast Concierge will help you plan an unforgettable honeymoon for memories a couple will never forget. Start a new holiday tradition on the shores of Galveston, like so many families have done for generations! 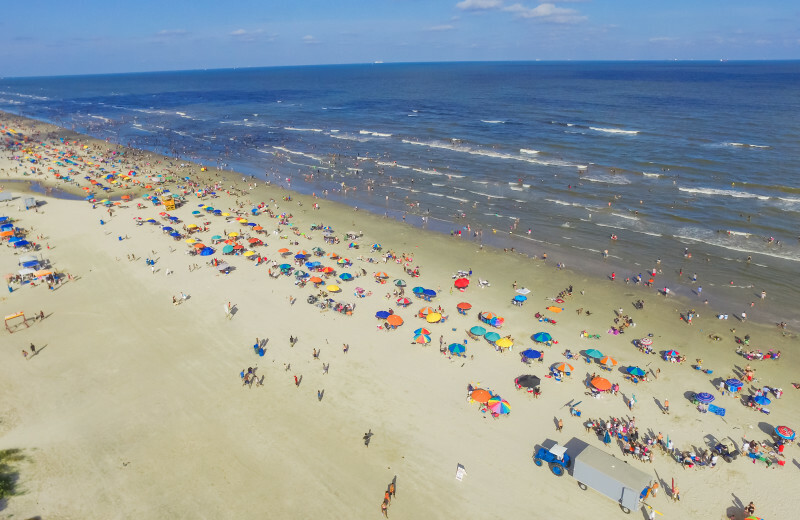 Galveston Island is a great place to celebrate many holidays and festivals; Mardi Gras, Spring Break, Easter, Mother's and Father's Day, July 4th, Memorial weekend, Labor Day, Lone Star Rally, Thanksgiving, Christmas and so many more. Ryson Vacation Rentals offers spacious accommodations to choose from for your Texas vacation, each with its own set of modern amenities that will make you feel right at home no matter what holiday you're celebrating. 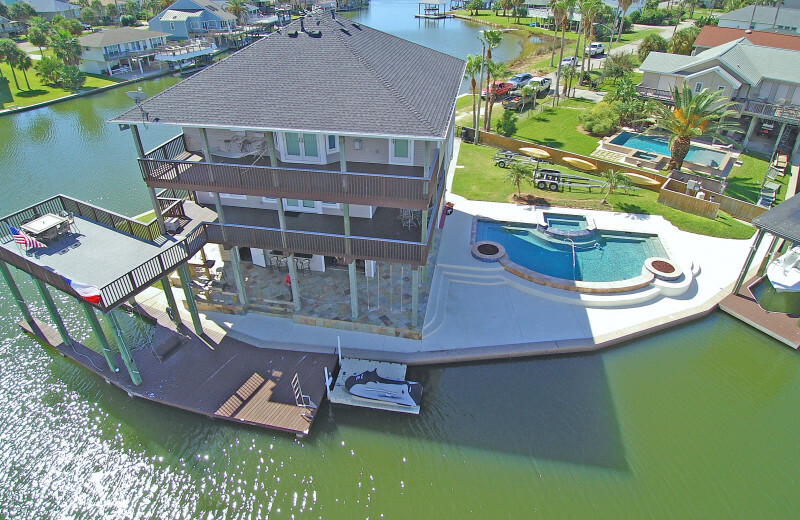 Ryson Vacation Rentals offers luxurious accommodations throughout Galveston Island, Texas for a truly exceptional vacation experience. The island features over 32 miles of beautiful beaches to explore, along with a many unique sites that you can visit during your stay. From the fun thrills and entertainment at Moody Gardens to the historic homes and antique shops that pay tribute to the island's rich history, you're sure to find something here to entertain you on your trip! 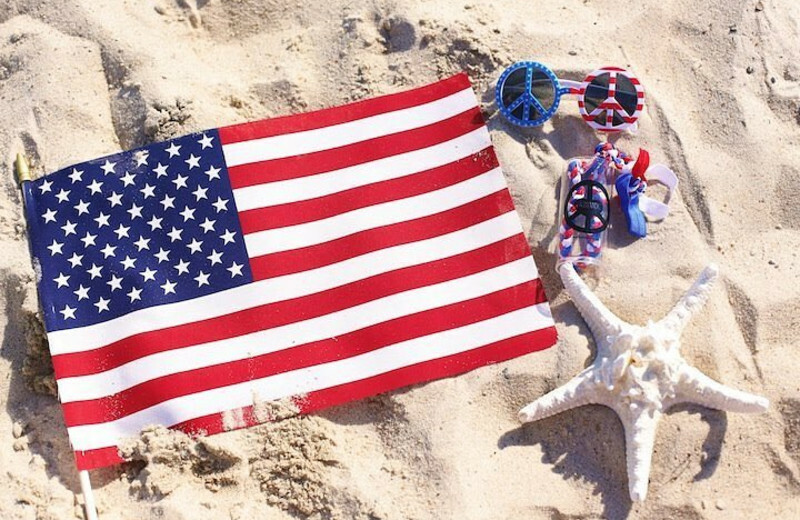 Ryson Vacation Rentals make it easy to plan your unforgettable Galveston vacation. Their accommodations come in a range of styles and sizes so you can pick from cozy beach cottages to luxury oceanfront condominiums and find the place that best suits your needs. You're sure to love the breathtaking views of the Gulf of Mexico and the modern amenities such as full kitchens, DVD players and private balconies. Spend your days at Schlitterbahn Waterpark's 70,000-square foot heated pool & swim-up bar or Moody Gardens' Palm Beach that features a lazy river, eighteen-foot tower slides and a wave pool. Start planning your next aquatic adventure on Galveston Island today! Ryson partners exclusively with Gulf Coast Concierge to get you the best deal on your tickets and to help make your time in Galveston great! As a gift for staying with Ryson Vacation Rentals, you will receive FREE activities every day to some of the island's most popular attractions. Activities include a Schlitterbahn Water park ticket, an Ocean Star Oil Rig Museum ticket, a tour by Segway of the historical district, fishing pier pass to Galveston Fishing Pier. This is a $115/night give away! This property is ranked number 1 on Top Texas Family Vacations. Read about it here.